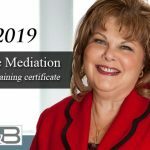 One of the most contentious and emotionally charged situations that can arise during or after divorce is when a parent with primary custody of the children wishes to relocate. In Illinois, relocation of a child outside of the state or to another area of the state is called “Child Relocation” (formerly known as Child Removal). Relocation of a child can also be an issue for unmarried parents if there is a court order granting visitation rights to the father. 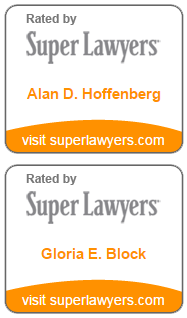 At Hoffenberg & Block, our child custody lawyers have extensive experience in this complex area of law. Following a divorce, Illinois courts have continuing jurisdiction over child custody issues. Before a custodial parent can “remove” or relocate a child from the state of Illinois or relocate them to a different part of the state, they must obtain approval from the non-custodial parent or a court order. Our child relocation attorneys represent both parents who wish to move, as well as parents with visitation rights who are opposed to the relocation or removal of their child from Illinois. 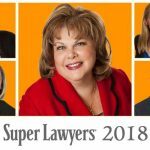 As in most family law matters involving children, the court’s primary guiding principle in child removal or relocation cases is protection of the best interests of the child. 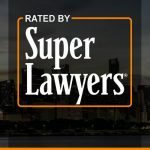 Applying extensive negotiation and trial experience, as well as up-to-date knowledge of evolving case law, and based on thorough investigation of all factors in your case; Hoffenberg and Block can offer aggressive yet balanced legal counsel to help each client secure the best possible outcome. Child Relocation (Removal) is a general phrase used to describe the situation where a parent wants to move to outside of Illinois or to another area of the state with their children. How do Child Relocation cases usually arise? Child Removal and Relocation cases usually arise when a parent wants to move out of state or to another area of the state because of a new job, a job transfer, school, remarriage or to be with family. If I have children, can’t I live wherever I want? Yes, you may live wherever you want. However, the real question is whether or not it is in your children’s best interests to move with you. Illinois courts cannot prevent a parent from moving; however, they can prevent that parent from removing a child from the state. Can I move out of state and bring my children? You may be able to move to another state and bring your children with you. In Illinois, the court must consider several factors, but in general, if the court determines that such a move is in your children’s best interests; you may be able to move to another state with your children. If you are looking to move away from Illinois with your child or your former spouse is trying to relocate your child out of state, it is important to work with a Chicago family law attorney to ensure your parental rights are protected. 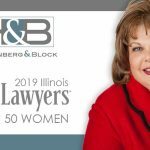 To discuss your child relocation or removal issue with an experienced Chicago Child Relocation and Removal Attorney, contact Hoffenberg & Block today at 312-853-8000 or Click Here to schedule a confidential case evaluation.